Meditation is a journey not a goal. Being a meditator for over 20 years, Tom Cronin fully understand this. He appreciates the importance of ongoing guidance for the meditator so they may continue to refine their meditation practice and also be supported with the integration of that experience into daily life. For this reason Inner Sanctum was created. 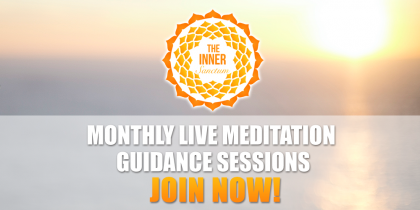 Inner Sanctum is a live global monthly coaching program for meditators all over the world. In this one hour coaching session attendees will be receiving live meditation guidance from Tom and then get to join in a global meditation session with people from all over the world! Today’s session was a divine intervention for me! Thank you for sharing your insights, it was exactly what I needed to hear. I am so grateful, thank you! Words cannot express how honoured I was to be a part of the call today. Your wisdom, passion and serenity are infectious. That was such a wonderful session and a beautiful meditation, Tom! To join these sessions for less than $1.90 a week click here.